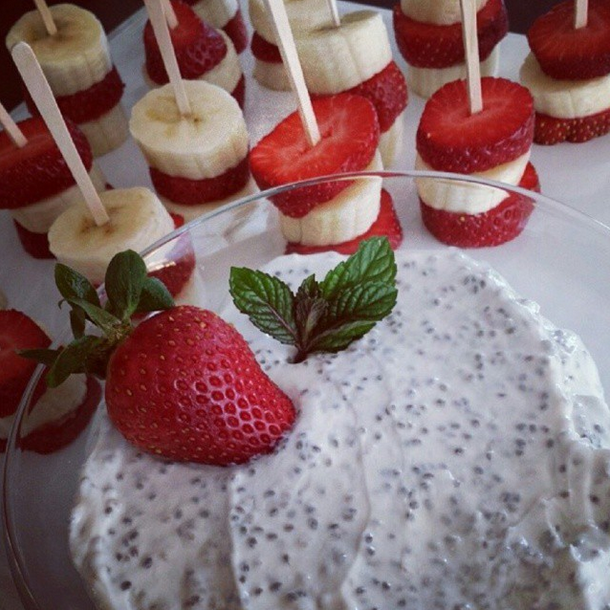 Simple, Fun, Clean Snack Ideas. Perfect for weekends, after-school, picnics and more! No relying on processed snacks when you have these in your kitchen arsenal! 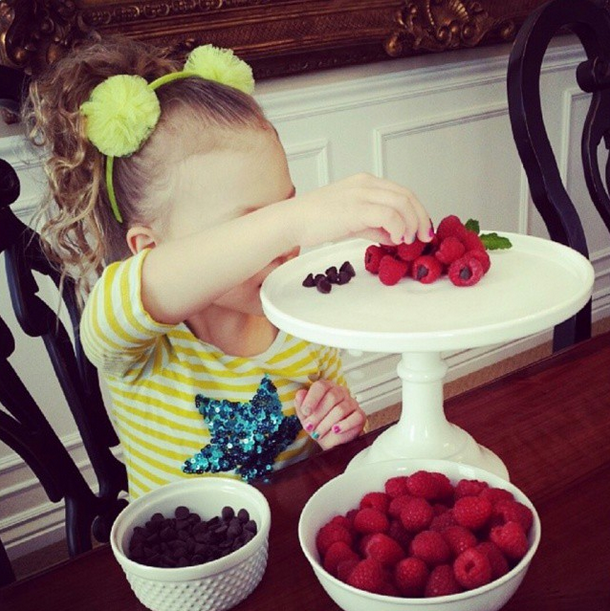 When you have kids, (or 4 of them 😀 ) it helps to keep the snacks simple, fun and YUMMY. With the right recipes and ideas you can keep the packaged stuff away as often as possible. 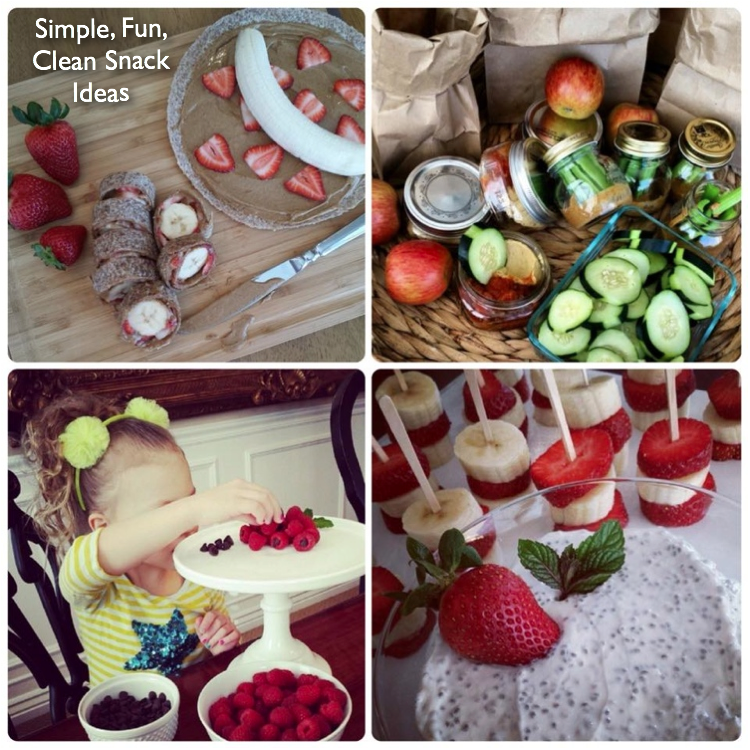 Here’s 5 snack ideas that are quick to prepare, filled with energy, and fun to eat! 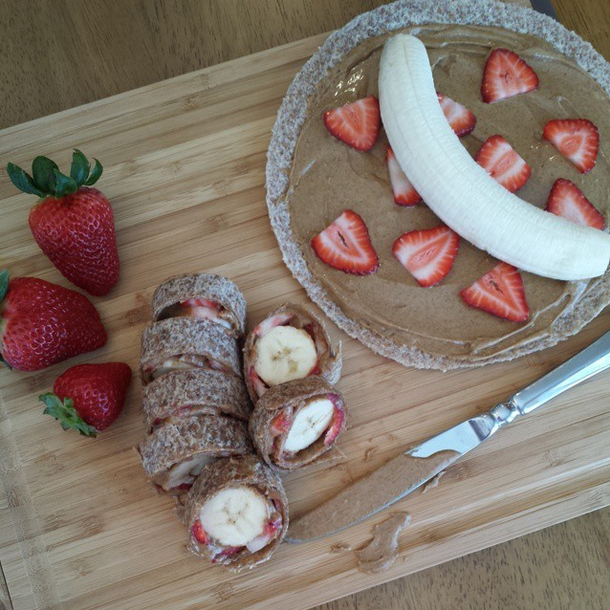 Banana Strawberry PB Roll Up. We call this one “Fruit Sushi” in my house. Spread a Ezekiel sprouted grain tortilla lightly with almond butter (or pb), sliced strawberries, & 1 banana. Roll then slice into round “sushi” pieces. Jars with half hummus, half all natural Salsa. Salsa/Guacamole would also be a fab combo. 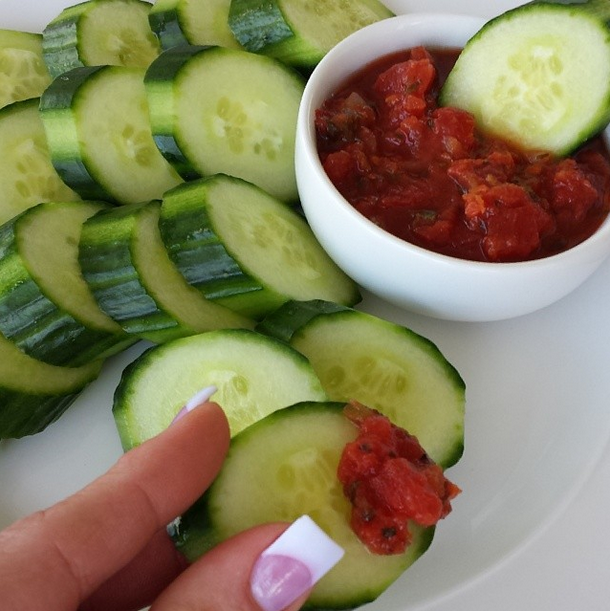 Fresh Cucumber, celery, or carrot slices for dipping. 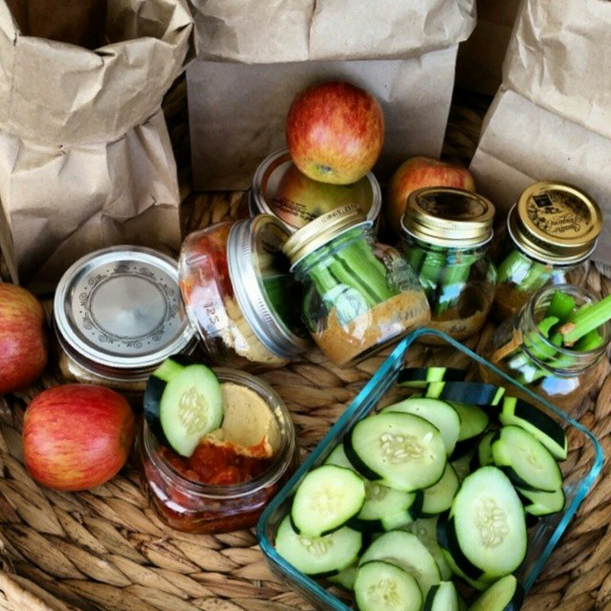 Jars with 2 Tbs all natural Almond Butter in the bottom, small Celery sticks OR apple slices for dipping. Just a few all-natural Grab-N-Go ideas! Make them your own. I prefer Lily’s Premium Dark Chocolate Chips sweetened with Stevia. Combine ingredients, Enjoy with fresh fruit. Love these ideas? Pin this to Pinterest and Save it for Later! It’s finally here! Grab your eCookbook Bundle today!